Pulsar Instruments successfully delivered its March One Day Noise Awareness Course to H&S professionals in York. The course, now in its 11th Year, covered everything from ‘how our hearing works’ to giving practical bespoke advice to delegates on how to measure and manage noise in their workplaces. “We try to give people a core understanding of the issues related to the Control of Noise at Work Regulations, and the practical knowledge of how to carry out their own noise assessments”. Said Graham Ellicott (Tutor), Acoustician and Member of IoA. Did you miss out? Further dates are available including: 25 April 2018 – York, National Railway Museum; 13 June 2018 – Leicester, National Space Centre; 19 September 2018 – York, National Railway Museum. 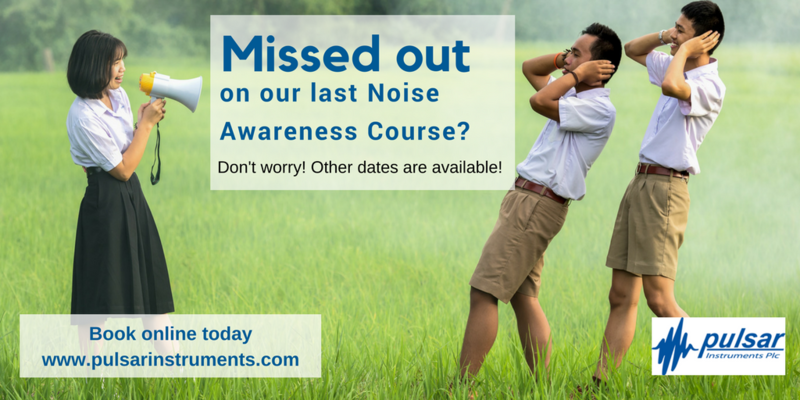 Priced at just £265 pp, the course programme comprises: basic noise theory, noise units and terminology, noise control, recording and reporting, and more. It also includes all course materials, access to loan instruments, refreshments and buffet lunch.